This store bought costume for groups entered our 2017 Halloween Costume Contest. 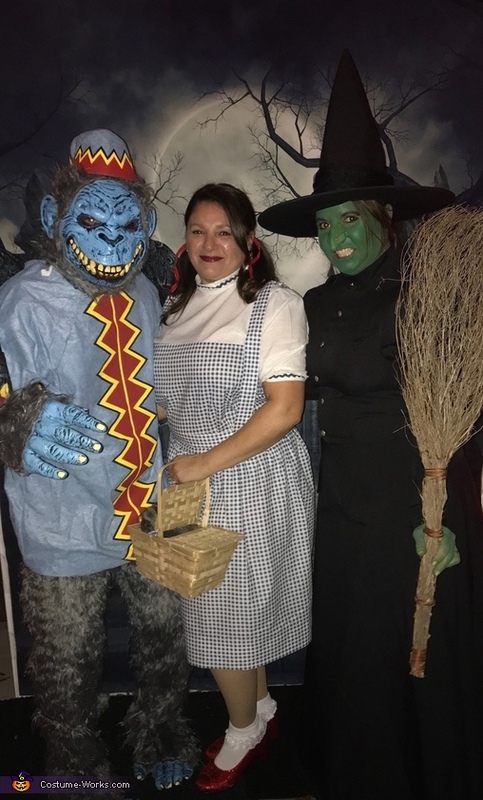 I am the wicked witch of the east my husband keith is the flying monkey and my sister tina is Dorothy . We had s lot of fun with this one !